The newest product from RCABC is Plus5. 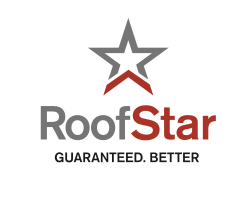 This limited offer is launching in 2016 to selected qualifying RoofStar customers. Many building owners love the peace of mind offered by the RoofStar Guarantee, but what happens when that guarantee period expires? The prospect of a roof with no coverage is unsettling. That’s why RCABC has launched the Plus5 Program – to offer additional protection to existing RoofStar Guarantee customers. Under the Plus5 Program, qualifying building owners have the opportunity to purchase an additional five years of guarantee coverage, including all the normal features of the RoofStar product. But it gets even better! In addition to the guarantee coverage, Plus5 customers will also receive money back, applied directly to ongoing regular preventative maintenance on the roof during the additional five years. Owners not only get the peace and security of the RCABC proven guarantee but also necessary maintenance of the roof to ensure its long life and dependability. This product is currently being offered to selected qualifying building owners only. To learn more about our Plus5 Program and how you can qualify, contact us at plus5@rcabc.org. Call RCABC for more information about Plus5!